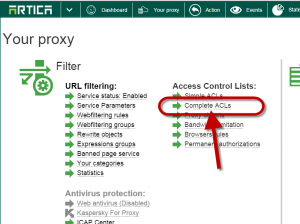 Sometimes you need to reload the proxy service without need to establish an administrator session on the Artica Web console Interface. 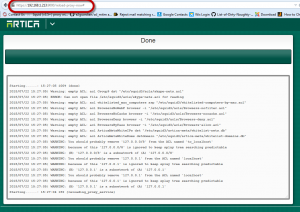 This to reload Active Directory groups or cached acls.. 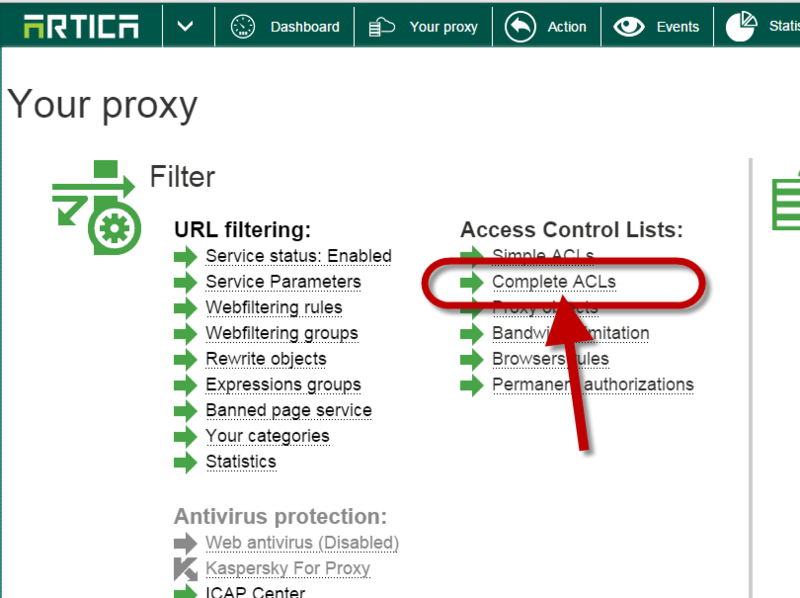 This feature is available on Artica v2.17.072214 or above. 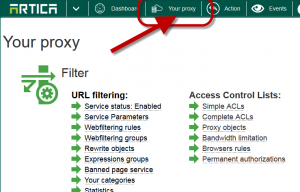 You can enable a specific link that allows you to use in order to reload the proxy service. 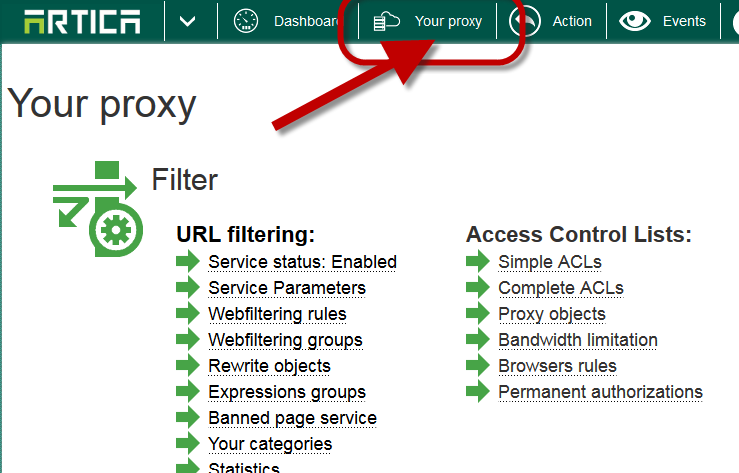 Turn on the “Reload Proxy services in Public Mode” option. 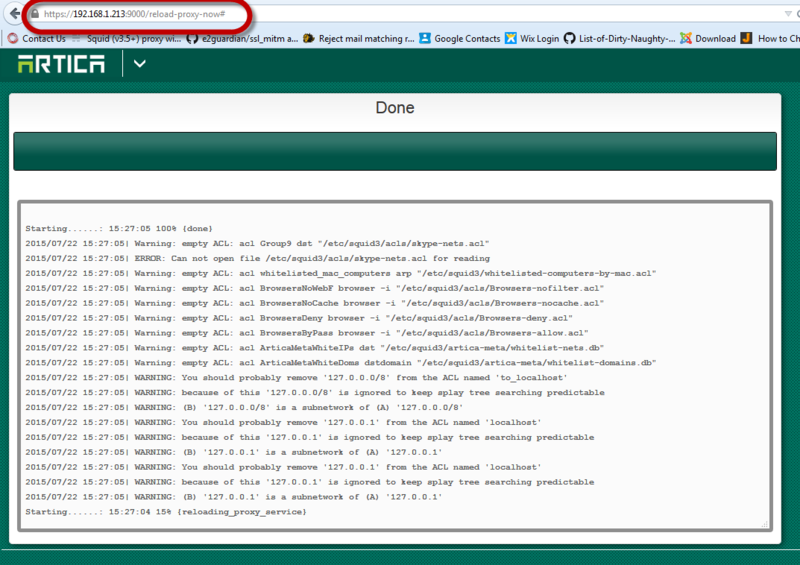 A simple page is displayed and shows you the progress of the reloading services tasks.